Experiencing something personally often has a much different feeling than reading about it, observing it, or talking about it. Unfortunately, when people are increasingly becoming connected to how a diagnosis of dementia can impact estate and legal planning. The progression of dementia can range from one patient to another. However, while a plan for incapacitation may have worked from the outside, the development of the dementia can impede your plan and execution of that plan. Estate planning documents, such as a trust and a power of attorney can become increasingly important and should be crafted well in advance of a dementia diagnosis. Although no one can sure anticipate an diagnosis of dementia. Having these documents in advance is significant for preventing problems. Although there may be no tax issues to worry about with regards to the estate, estate planning goes so much farther than just the taxes or death planning. A power of attorney, for example, could be used by a caregiver to get the bank to tighten things up with financial affairs when someone faculties decline with dementia. Since that person might have been the primary financial decision maker responsible for responding to new offers of personal loans, home equity loans and new credit card accounts, a caregiver with an appropriate power of attorney can get this to stop. Furthermore, lowering limits on credit cards or shutting credit cards down completely, if this person is no longer able to make informed and reasonable decisions on their own, may be important. But only an individual who has been empowered with the power of attorney is in a position to make these kinds of stipulations and to follow through on them. Schedule a consultation with your own estate planning lawyer to discuss what you can do to protect yourself and your loved ones if you are concerned about a recent diagnosis of dementia or symptoms that might indicate a person could be developing dementia. The investment portfolio of millennials is changing the face of the estate planning industry. Estate planners have, for years, been focused on baby boomers who will pass on significant assets to future generations, but the way that millennials are saving and thinking about their own future is altering the industry as a whole. The estate planning market has for many years handled the distribution of assets among the descendents of deceased wealthy individuals. If you are concerned about a possible dementia diagnosis or just need your questions answered about your own potential incapacity planning, now is the time to talk to an attorney who has background and experience in this area. What is the Connection Between Legal Capacity & Dementia? In many situations in which an individual with dementia is able to understand the importance and the meaning of any given legal document, he or she most likely has the legal capacity to execute such a document. Legal capacity refers to appreciating and understanding the consequences of your actions. As long as an individual with dementia has the appropriate legal capacity, he or she is eligible to take part in a legal planning process. An attorney can help to determine what level of legal capacity is necessary in order for an individual to sign a particular document. 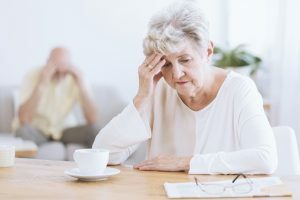 It is not uncommon for adult children who have elderly loved ones facing dementia to have pertinent questions that can be addressed by an estate planning attorney. Talking with the person directly to determine whether or not they understand the consequences of their actions. Get medical advice from a doctor who knows the patient. Take inventory of any current legal documents already in existence. An experienced estate planning attorney can help you when it is important to identify some things that you need to do to protect a loved one who is facing a dementia diagnosis. Both government regulators and financial advisors are facing a growing dilemma: what to do for and about people with memory loss. Sometimes, according to a recent American Association of Retired Persons online article, it is a person at a financial firm who first notices signs of dementia in clients, but that doesn’t mean there are rules and procedures in place for dealing with such a situation. “Regulators and financial firms are starting to tackle the issue of serving clients with diminished mental capacity, something not covered under federal regulations and addressed by only a few states,” according to the story. “Alzheimer’s disease, the most common form of dementia, now affects 5.1 million Americans 65 and older, a number that’s expected to nearly triple by mid-century, according to the Alzheimer’s Association. Already, financial advisers typically serve at least seven clients with Alzheimer’s or other dementia, according to a 2012 study by Cerulli Associates. “The prospect that someone with a cognitive disorder might quickly deplete a nest egg or fall victim to a scam is why regulators, financial institutions and consumer advocates are trying to get ahead of the problem,” the story continues. “The silver tsunami is upon us, and it will continue for the next 15 years, according to Lynne Egan, chairwoman of the senior issues and diminished capacity committee for the North American Securities Administrators Association. “We will see a large portion of our population turn 65. “Regulators and financial firms are starting to tackle the issue of serving clients with diminished mental capacity, something not covered under federal regulations and addressed by only a few states,” according to the story . “Alzheimer’s disease, the most common form of dementia, now affects 5.1 million Americans 65 and older, a number that’s expected to nearly triple by mid-century, according to the Alzheimer’s Association. Already, financial advisers typically serve at least seven clients with Alzheimer’s or other dementia, according to a 2012 study by Cerulli Associates. A San Francisco-area industrial designer whose grandmother was diagnosed with Alzheimer’s disease did something rather remarkable. “Yao exceeded her fundraising goal on Indiegogo last year and her designs won the top prize at the 2014 Stanford Design Challenge,” continues “The set has bright, primary colors, which Yao chose because of a Boston University study that found that individuals with cognitive impairment consumed 24 percent more food and 84 percent more liquid when they were in brightly-colored containers. More information is available at http://www.eatwellset.com/#!features/cf1a. It must be grim, but it also must be done. For people who fear they are experiencing the first signs of dementia or Alzheimer’s disease, making legal plans is essential, because anytime now may be too late, according to the website alz.org. “It’s important for everyone to plan for the future, but legal plans are especially important for a person with Alzheimer’s disease,” according to an article on the site. “The sooner planning starts, the more the person with dementia may be able to participate. Practically everyone knows of examples where older people refused to acknowledge obvious signs of approaching dementia until it was simply too late. It doesn’t help the situation at all that the individual’s friends and family members are just as hesitant to ignore a growing problem. This becomes a double-edged sword. “Nobody wants to admit they can’t live independently anymore,” Carolyn McClanahan, director of financial planning for Life Planning Partners in Jacksonville, Fla., was quoted as saying in a recent MSN Money article by Liz Weston. “Denial is common in family members, too, because acknowledging what’s happening can be too painful and frightening,” Weston wrote. This pattern of denial on the part of the person beginning the spiral into end-of-life forgetfulness and those around them who care can have some very real consequences, the story points out. The person with symptoms could be suffering another, resolvable issue, such as a reaction to medication, a vitamin deficiency or an infection. Even if she does have Alzheimer’s, early detection permits treatment with medications that can allow her to remain independent longer. 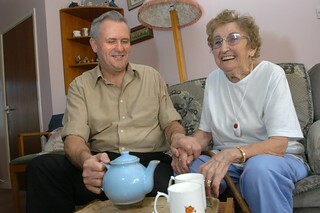 Delay can prevent the person from making her wishes about future treatment known, putting another burden on the family. It can rob her of the opportunity to make important financial and legal plans, including protecting her assets and designating someone to make decisions for her when she no longer can. An occasional financial planning lapse may not mean anything, but a pattern may. 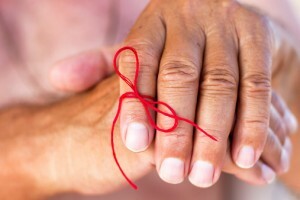 “Sometimes the line between normal age-related memory issues and incipient dementia can seem blurry, but the Alzheimer’s Association offers helpful tips for discerning the difference,” the story states. Forgetting a word now and then is a normal part of aging. What’s not: using made-up names, such as calling a watch a “hand clock,” or having difficulty carrying on a conversation. Getting confused about the day of the week? That can be normal aging, if the person figures it out later. Likewise, misplacing things isn’t a cause of concern if the person eventually can retrace her steps to find what she’s lost. But if she can’t figure out where she mislaid her keys or what day or season it is, there may be a problem. Becoming more set in our ways can be a typical part of aging, and we may get irritated if our routines are disrupted. Big personality or mood changes, however, usually aren’t normal. If someone becomes anxious, easily upset, defensive or suspicious when he didn’t used to be, dementia may be the cause. Although their numbers are sadly and rapidly dwindling, veterans of World War II, the Korean War and even of the War in Vietnam are increasingly coming to realize they suffered and are still suffering from post-traumatic stress syndrome. Soldiers were discharged at the end of World War II with the simple expectation that, in spite of what they had seen and done, what they had experienced, they would just resume the lives they had before service to and sacrifice for their country intervened. The prevailing medical advice … amounted to ‘put it all behind you,’ ” Span wrote. 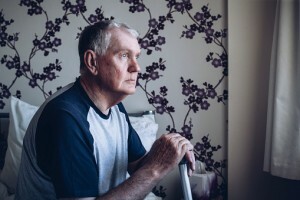 “Because post-traumatic stress syndrome can trouble veterans’ physical health, their emotional lives and their relationships — here is also a connection to dementia, researchers are finding — the Department of Veterans Affairs and veterans advocacy groups have made it their mission to inform service members returning from Iraq and Afghanistan about their PTSD risk,” according to Span. “But older veterans tend to know less about the syndrome, even as it haunts many of them. Their generation had less experience with psychotherapy, which once carried a stigma. Even now, if they do seek help, they are likely to describe their problems as physical. There is some good news on this sad front. “Yet even veterans who have suffered quietly for decades can benefit from the contemporary treatments offered by the VA.,” the article stated. “We can help them out,” said Dr. Steven Thorp, a research psychologist at VA San Diego Healthcare, mentioning such options as relaxation and stress reduction training, cognitive processing therapy and exposure therapy. Those all perfectly describe Alzheimer’s disease and dementia, and it is the subtle onset of loss of memory and cognitive abilities that make these such frustrating conditions from a legal standpoint. By the time a man or woman realizes, or is willing to admit, there’s a problem, it may already be too late to take the proper steps. “There are many legal issues that should be considered when a loved one is stricken with Alzheimer’s disease,” offers the Fisher Center for Alzheimer’s Research Foundation. “Because the issues are sometimes complex and the regulations vary by state, it may be helpful to contact an elder law attorney for advice and counsel. Your local Agency on Aging can also help you understand the overall requirements and resources in your state, as well as help you locate an elder law attorney.